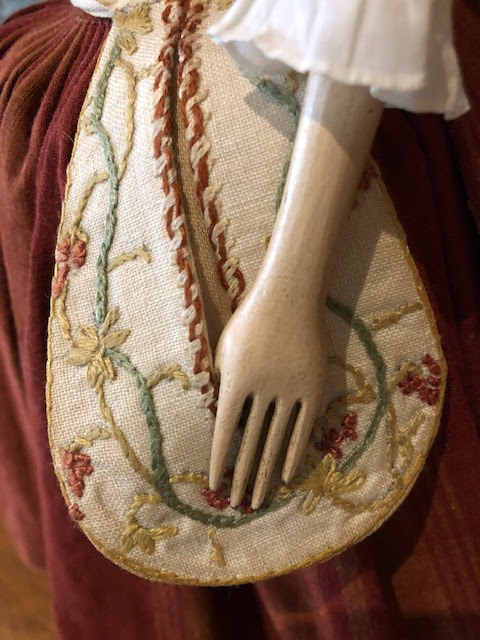 I shall post lots of photos for you to see. 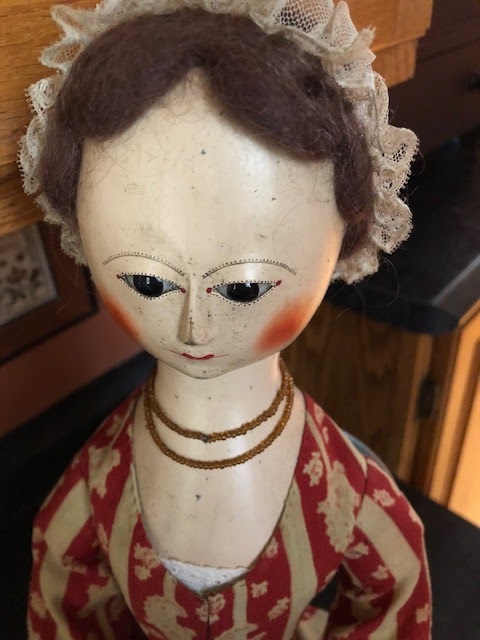 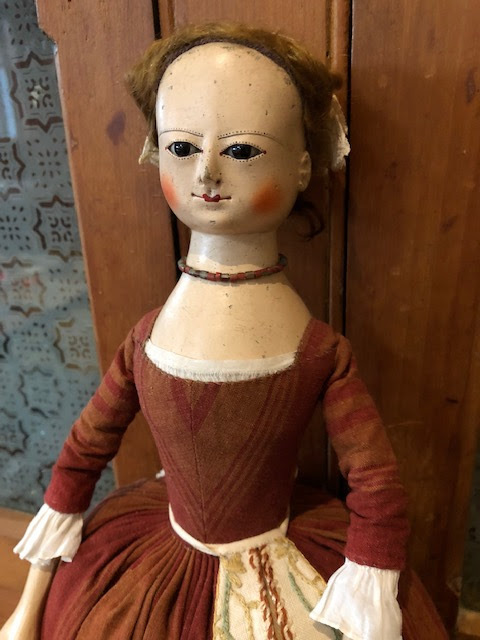 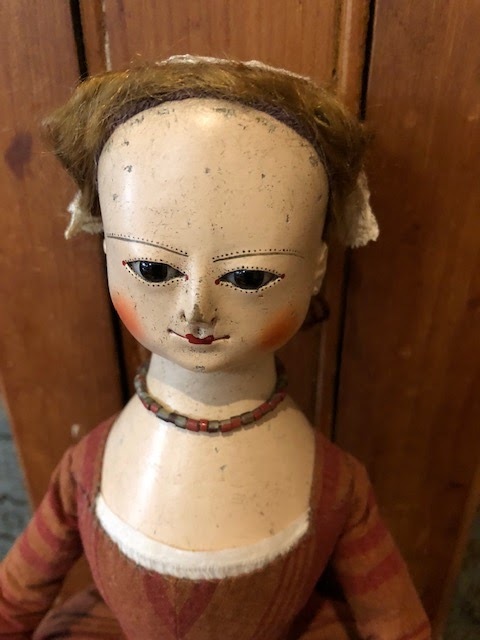 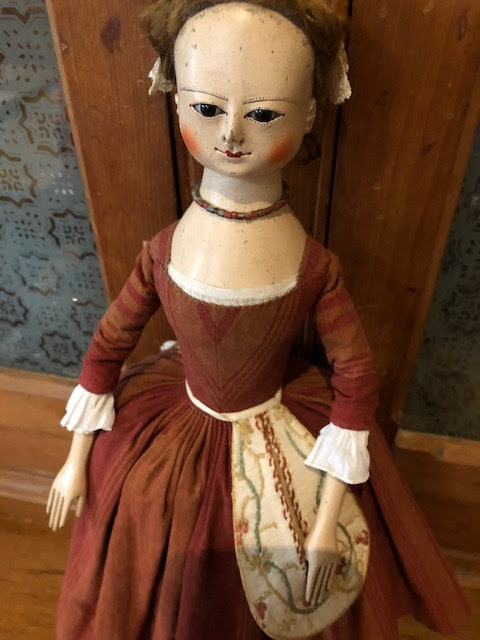 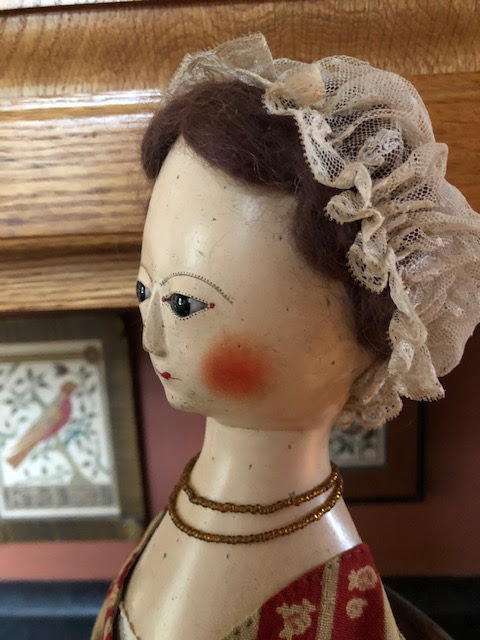 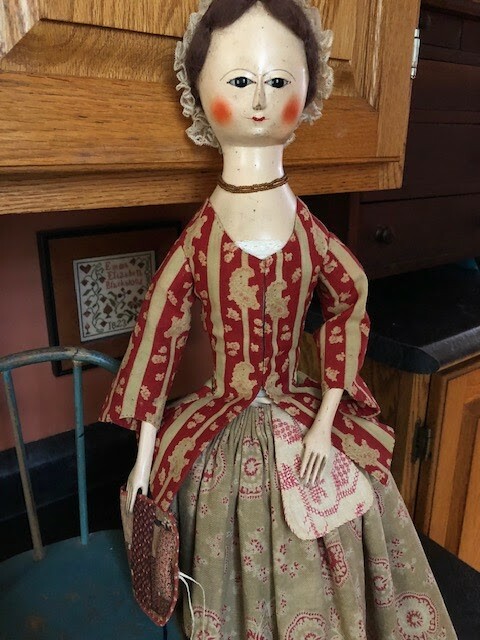 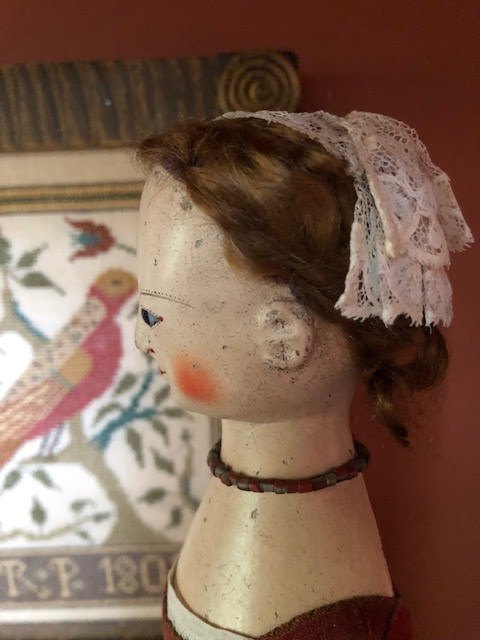 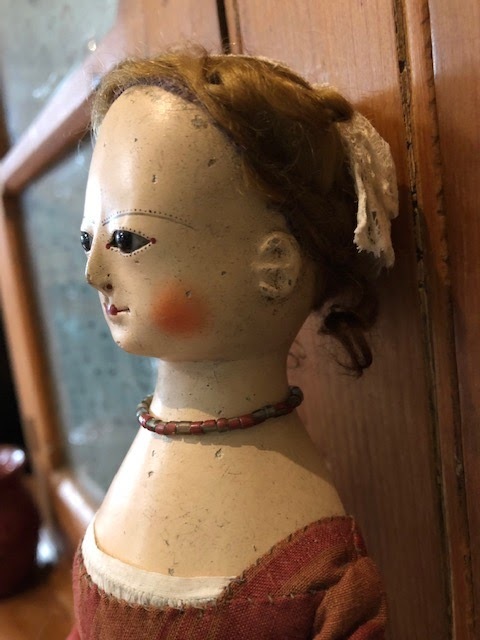 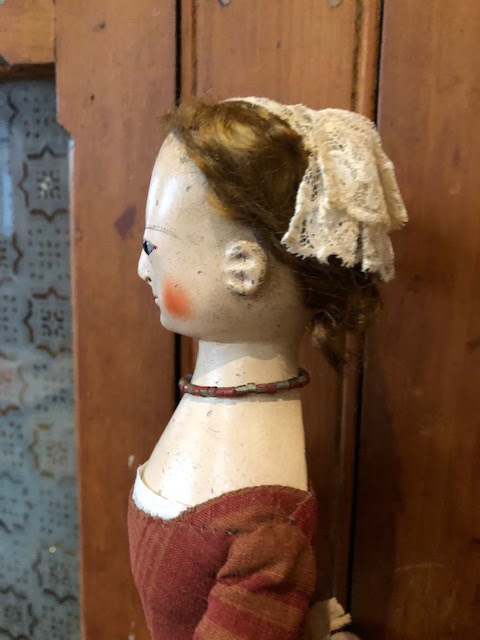 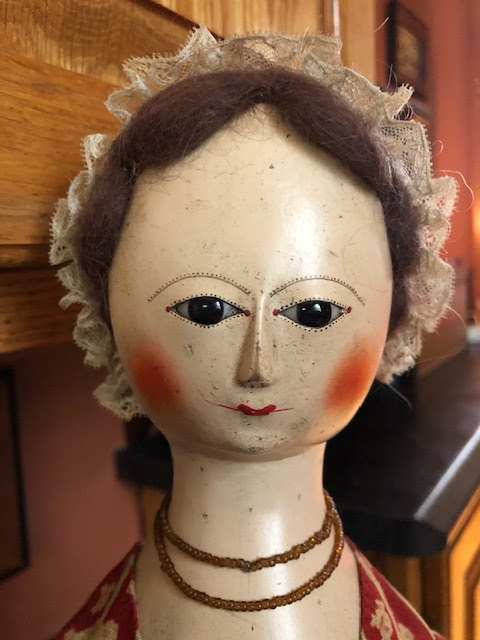 All of her clothing is removable so if you like to sew this would be a perfect doll to add more to her trousseau..
Maudie is fully jointed and all hand carved. 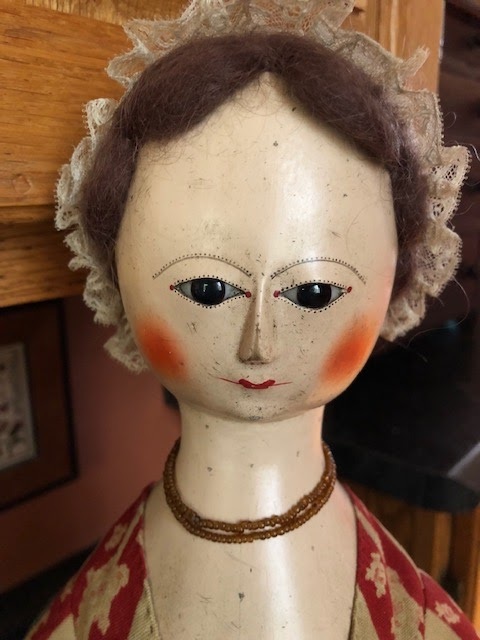 Her eyes are antique black glass. 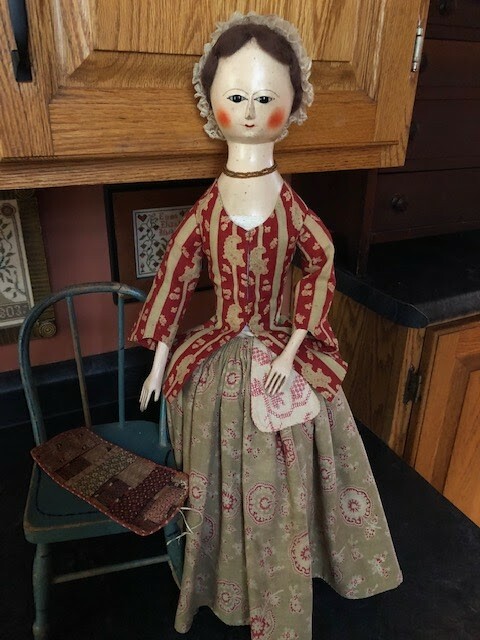 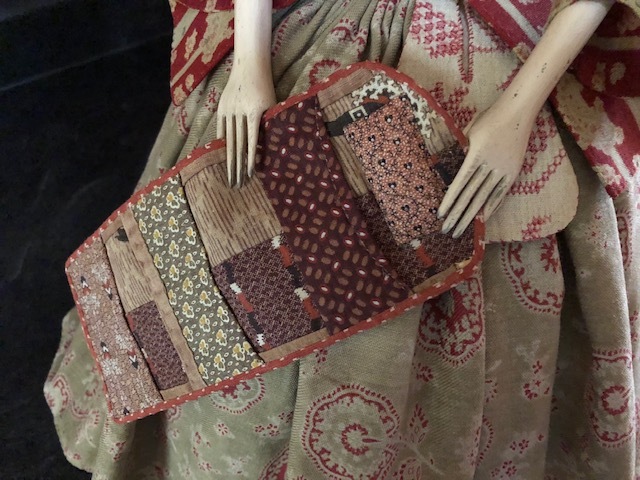 She is wearing very early paisley fabrics. 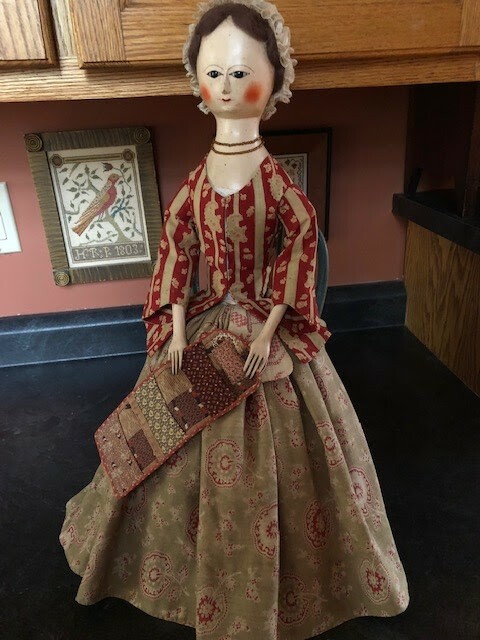 I LOVE paisley. 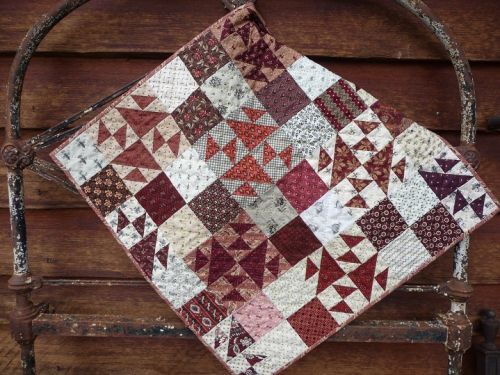 These two really compliment each other. 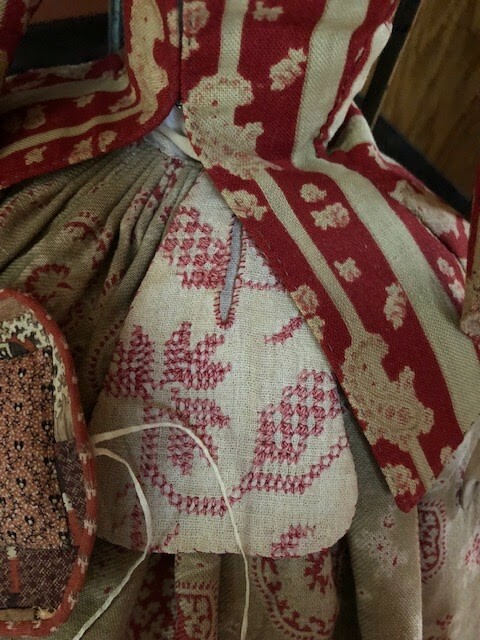 Under her skirt she has a very full fine wool petticoat. 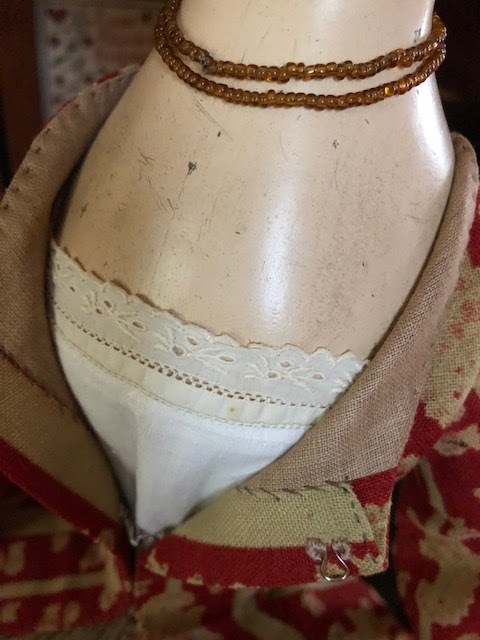 Her early cotton chemise is just poking out of her jacket. 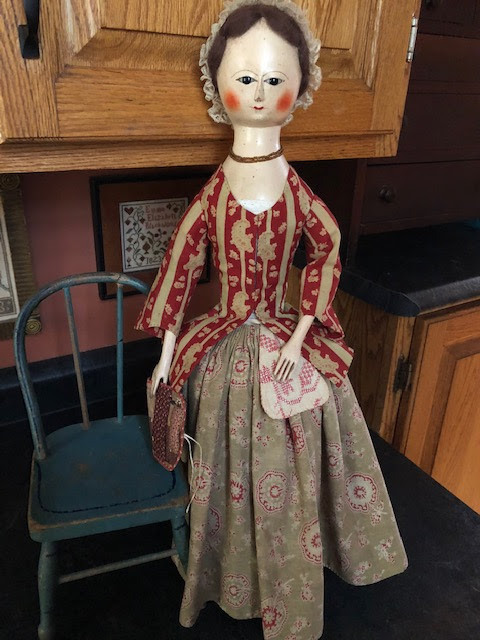 She comes with her sewing roll of course too.